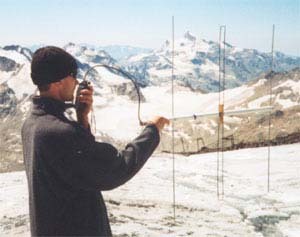 This antenna was developed specially for mountain trip from my experience of radio communication in mountains. The antenna is optimized to the maxima forward gain. At work you can hold the antenna by the "tail" and direct the antenna to your correspondent using vertical or horizontal polarization..